In Mary’s song of praise- the Magnificat she states, “For He who is mighty has done great things for me” (Luke 1:49). Whether it’s been a year of trial and fear or achievement and joy, I think if we all reflect back upon these last 365 days, we could agree and relate with Mary that whether it was in her trial (facing the world and its ways as a young, unwed pregnant woman), or in her joy (of childbirth, and not just birthing any child, but giving birth to the Savior of the world), despite our circumstance or situation, we can all clearly see that the Lord has still done great things for us. Devin- I am in my 6th year at GRACE Christian School as Director of Athletics. The Lord continues to grow and stretch me in this role and I am thankful for the many opportunities to mentor coaches and students while working alongside great leaders at GRACE. A new, exciting, and humbling role the Lord led me into this year was being asked and voted into Deacon of Music at our church, Redeemer Community Church here in Fuquay. The Lord has been overly gracious by giving me this opportunity to serve by the lead of the Holy Spirit our church body into worshipping Christ through music. The Lord has blessed us with a great team of musicians and sound tech. in which it has made it awesome to sing and play for the Lord! I pray that the Lord will continue to grow me in my faith and knowledge of Him as well as being able to love and lead my wife and boys in the way of the Lord. Brittany- I am continuing to, by God’s grace capture images for family’s that speaks of His goodness, mercy, love, and grace. It was a busy year for Brittany Terris Photography, and I am so grateful for all the families that entrusted me to capture these images for them. 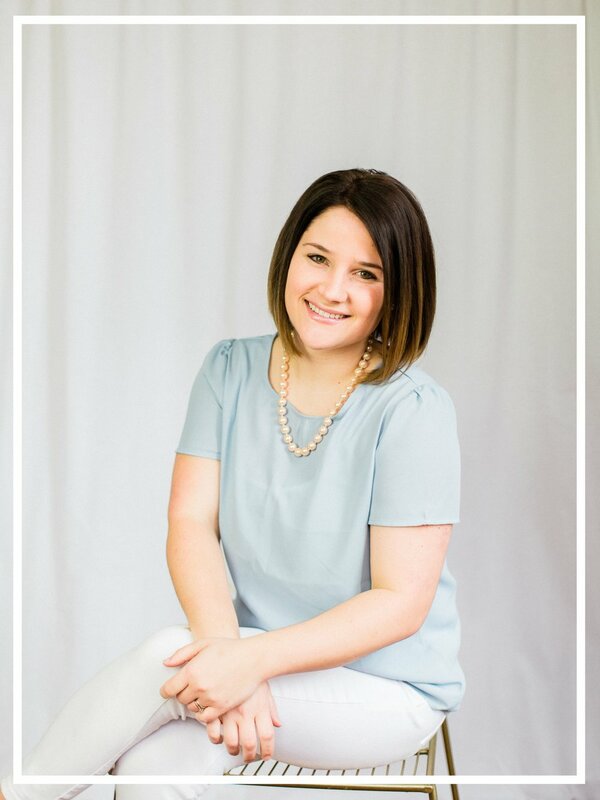 I am in prayer for the upcoming year and excited to see how the Lord grows and stretches me through Brittany Terris Photography. It’s a busy, fun, exhausting season of life at home with littles, yet the Lord has been faithful in continually teaching me how to rest and enjoy Him, despite the circumstance; that He can still be enjoyed in every season, especially in the hard ones. I’m learning to, oftentimes, minute by minute refocus my mind on things above in the midst of tantrums, snotty noses, laughs, cries, and boy hugs- constantly reminding myself that even the most mundane task, when done in joy, still brings Him glory. A prayer of mine, as the Lord grows me in mommy-hood, is to see Christ through our children; for the Lord to bring their hearts close to His and for their lives to lift Him above and beyond worldly vision, along with continues to make me more like Christ as a wife, mother, daughter, sister, and friend. Lastly, I’m so thankful for our church family, how they have fervently prayed and came around our family in love. I’m continually amazed at the goodness of the Lord through our Redeemer family. Zayin- Little Zay isn’t so little anymore. We celebrated his 4th birthday this year! With open arms, he welcomed his new baby brother to the family and continues to rain down brotherly hugs and kisses! We had a pivotal moment for Zay when the Lord set up a trip to Nationwide Children’s Hospital in October. As his parents, we were able to finally receive some answers and guidance on treatment and care for Zayin to help in the complications of his abnormality we face. We praise the Lord for this open door and we are continually left in awe of how deeply He cares for Zayin. A dear friend of mine once told me that Zayin’s abnormality will be Zayin’s tether to the Lord, and I truly believe the Lord will continue to use this to draw Zayin and others near to Himself, including his parents! Ezra- Oh, sweet Ez- he came into the world all 9lbs of his chunky self and hasn’t stopped growing! He is 7 months now- almost 20lbs and by God’s grace, thriving. He adores his brother and loves watching him be crazy loud. We are so thankful for Ezra and that the Lord would entrust yet another one of His children to us to raise, by His grace in the ways of the Lord. In both boys, we see the Lord’s work in amazing ways, and we’re grateful for the Lord lending them to us for these crazy beautiful seasons! Just as God turned Mary’s grief into His glory, we, as a family, are thankful for just this in 2017, how He continues to turn our grief into songs of praise. Oftentimes the Lord, in His time, turns hard situations into ministry opportunities. He uses the details of our situation to reveal Himself in such sweet ways. So, as a family, we aren’t praying for a comfortable, easy going 2018; but asking that no matter what may come in this year, that the Lord would continue to reveal Himself, His glory, and His goodness. In both joy and in sorrow, indeed, the Lord has and will continue to do great things for us. From our family to yours, we wish you a very Merry Christmas and a Glory filled New Year!